Janet and Mitchell will be showing a collection warm and inviting paintings created over this long cold winter. Ideally themed for the cottage show are Janets series of boat, canoe and kayak paintings and the brilliant reflections they make while Mitchell will be showing some of his highly textured, warm and inviting atmospheric dreamscapes – these paintings take you back to summer days watching the clouds drift by and seeing something different every time you look. 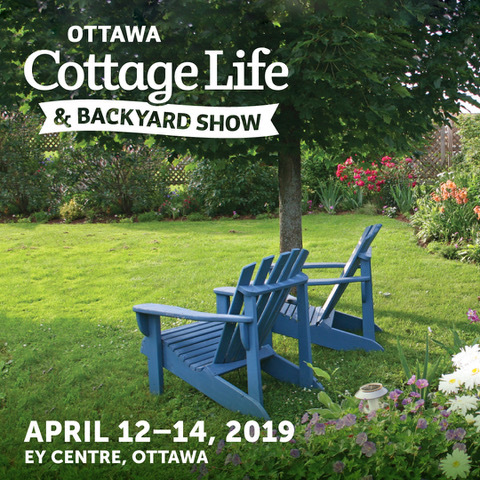 Come out and see our winters work and browse the show for those long dreamed of cottage items. We have a limited number of free tickets available at our studio. Please call to arrange pick up if you are planning to attend the show. Friday Evening: save $ 5 after 5 pm (off regular Adult Admission) – onsite only!